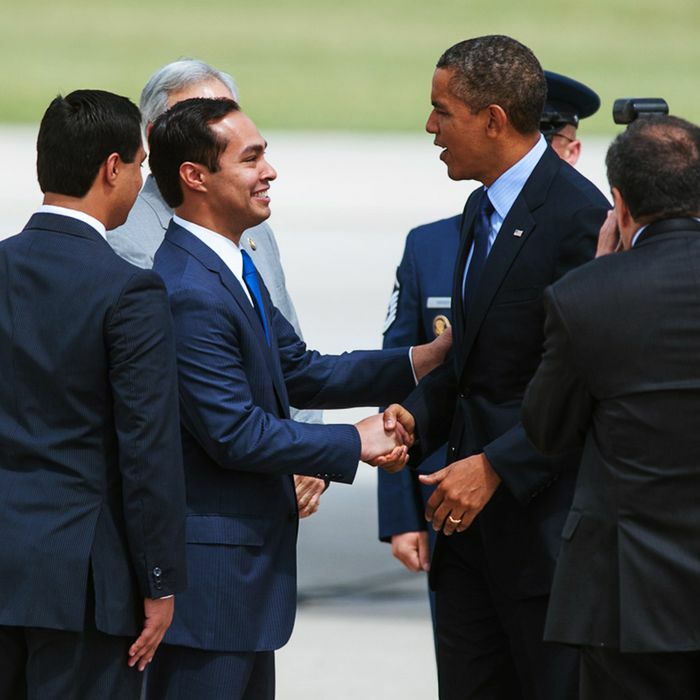 Raised by a single mom, made it to Harvard law, hit the national stage at the DNC … That’s San Antonio Mayor Julián Castro, President Obama’s pick to be the next secretary of housing and urban development. His shared trajectory with the president has, for a few years now, put him in the political hype cycle as the next Obama, a rising star for the Democrats who is, not coincidentally, Mexican-American. And now he’s going national — again: He gave the 2012 convention keynote, thanks to Obama himself. At 39, if confirmed by the Senate, Castro will be the cabinet’s youngest member. Then the 2016 chatter really starts. It’s time to re-meet (and get used to) the guy. Already being floated as a potential candidate for vice-president, Castro’s stats make him seem like Democrats built him in a lab. Maybe you remember this speech? “I thought he was on our staff. I thought he was an intern. This guy’s a mayor?” The other participants — world-famous economists, environmentalists and politicians — burst into laughter. Twin brother of freshman Texas congressman Joaquín Castro. Yes, there are two of them. Stanford grad, thanks to affirmative action. “Joaquín and I got into Stanford because of affirmative action,” Castro told Chafets. “I scored 1,210 on my SATs, which was lower than the median matriculating student. But I did fine in college and in law school. So did Joaquín. I’m a strong supporter of affirmative action because I’ve seen it work in my own life.” Fox News already has two years of programming planned on this quote alone. Pro-gay marriage, even in Texas. “Ending the official bigotry that Texas sanctions is both the right thing to do, and it is also good for business,” he said last year. Former White House intern, city councilman at 26, three-time mayor. You get the idea. 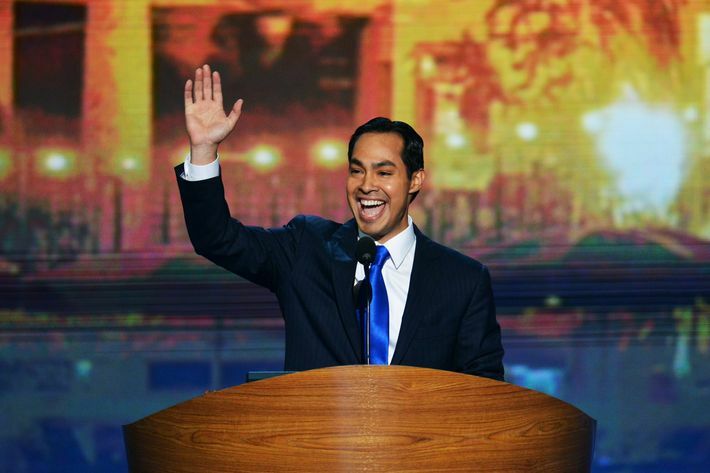 “Julián Castro has a very good chance of becoming the first Hispanic president of the United States,” said a George W. Bush insider plainly in 2010. The plan seems to be working so far.